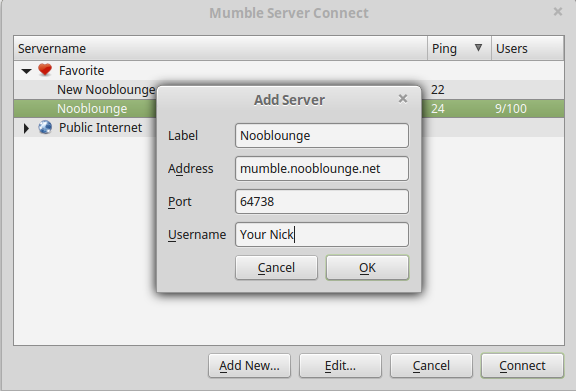 Mumble is a voice over IP (VoIP) application primarily designed for use by gamers and is similar to programs such asTeamSpeak. 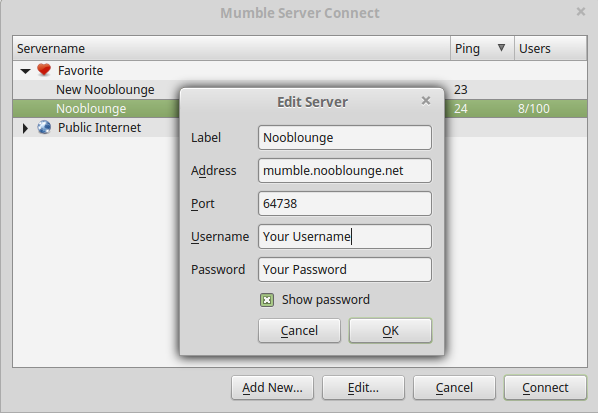 In other words, Mumble is an Open Software, who allow users to communicate trough voice. Primarily tought for gamming, to improve the experience, can be used for other tasks, like meetings, Brainstorming or just to chat and know other people. Mumble is easy to install, just got to their wiki page here and choose your operating system. Once you are in, just follow the tutorial to configurate your client. In the webpage, you can see a mumble viewer which display a live preview of the users connected at this moment. You can just click on the room that you want to join and th mumble client will open and connect automatically. We are working on this section in this moment, so new information, features and more, will be added in the future.